Live the dream. 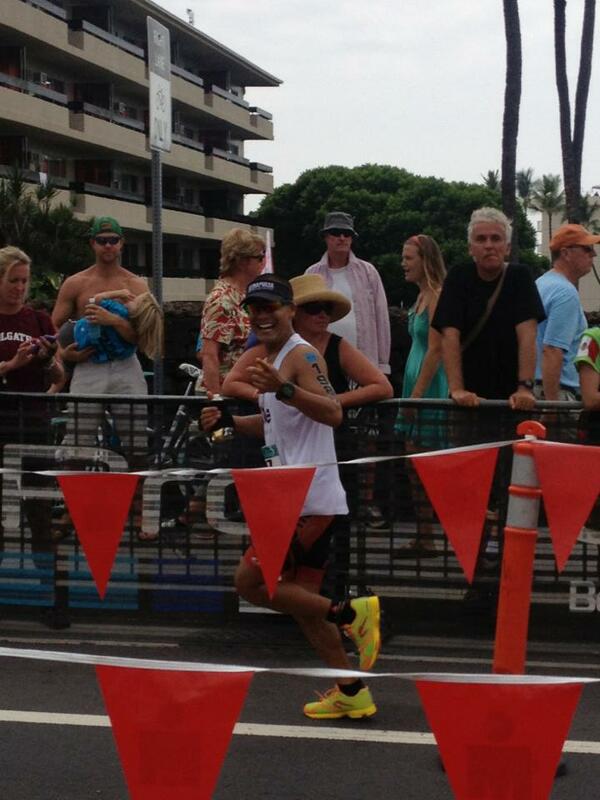 No matter what the day brought my top priority was to thoroughly enjoy my first trip to the Ironman World Championship. The hype and history behind this race is incredible. 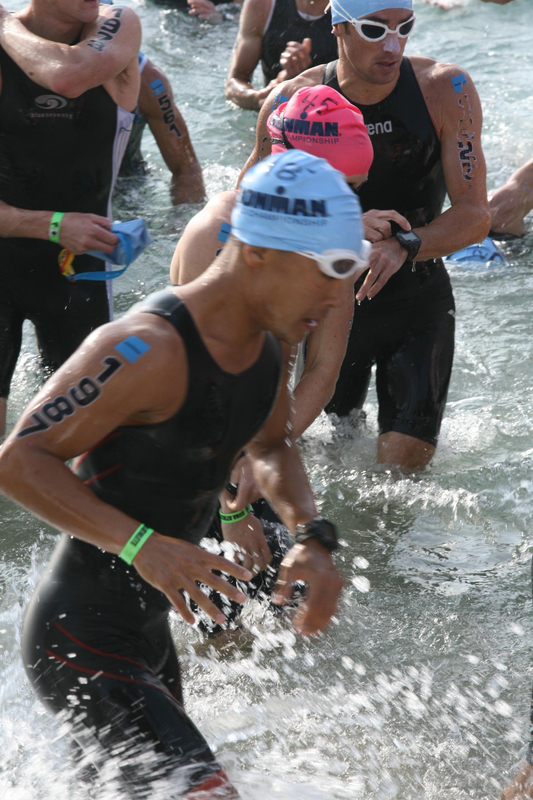 Racing or spectating, it’s the place to be if you’re involved in triathlon. The amount of excitement and happiness I felt when I landed on the Big Island was surreal. My friend, Colin, picked me up from the airport. 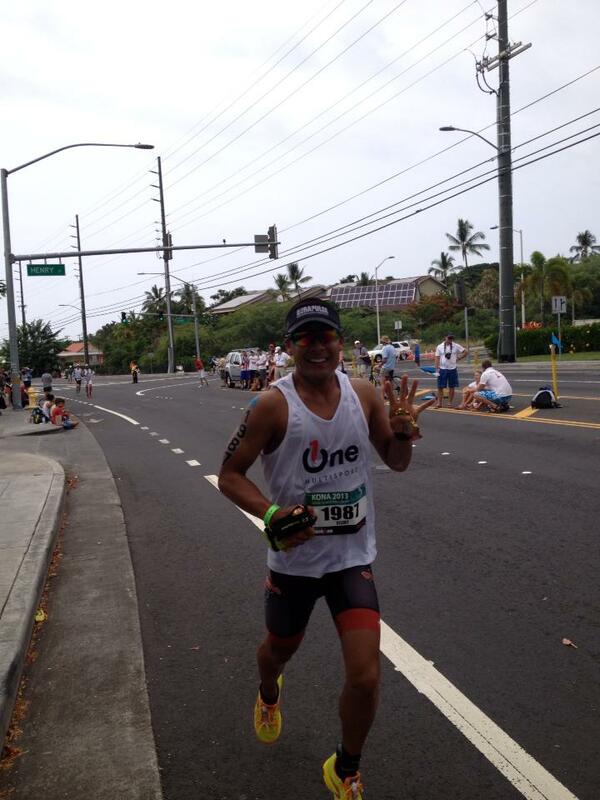 I had an enormous grin on my face as we drove into town on the Queen K. I was like a kid at the candy store. 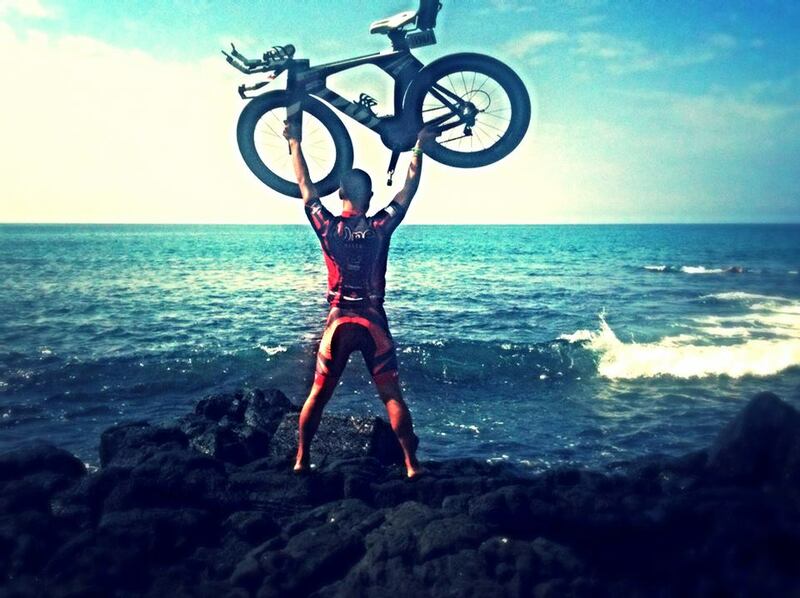 I made it to Kona! 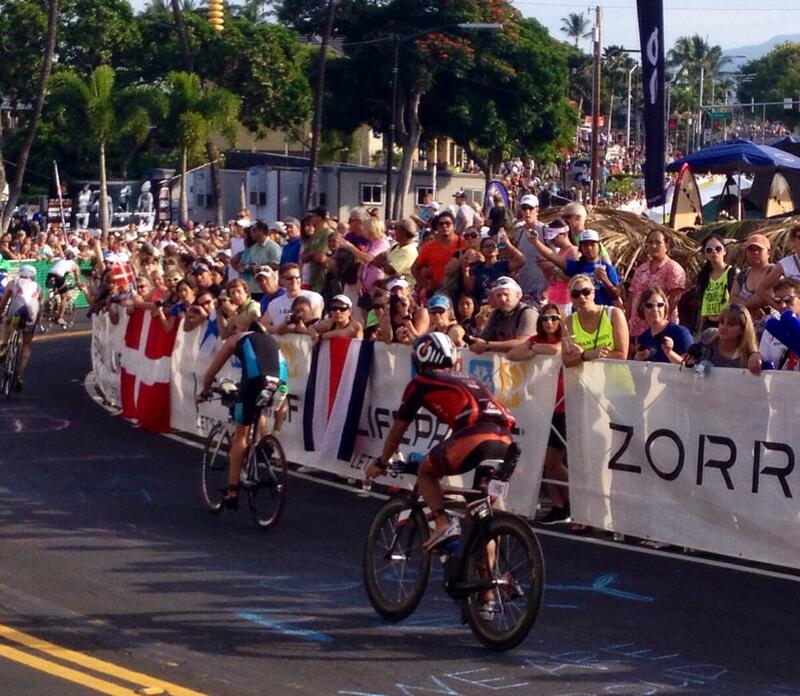 I could feel the energy throughout the island as race day approached. I’ll never forget my first training run along Alii. I felt like a bum not holding six minute miles. There were so many fit-looking, fast athletes everywhere I looked. 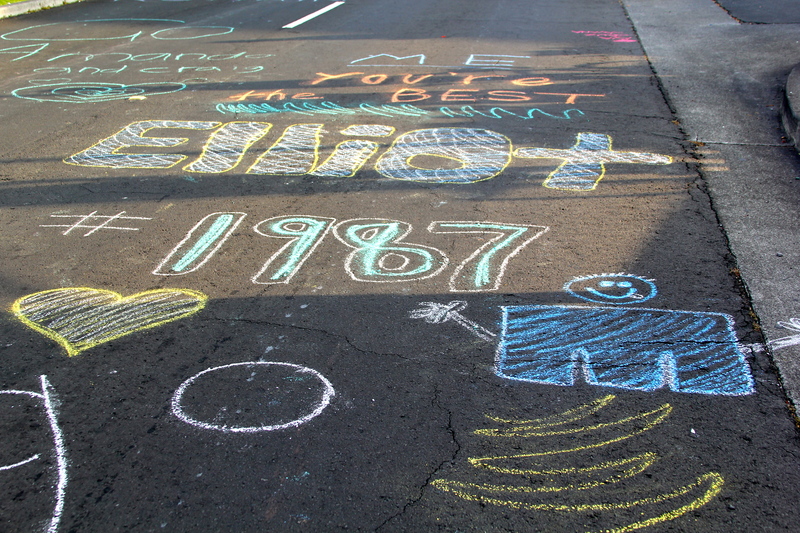 I got the chills on my first ride on the Queen K. Ironman legends were born here. Like all the other Asian tourists, I took pictures of everything. The bike check-in process was another pre-race highlight. 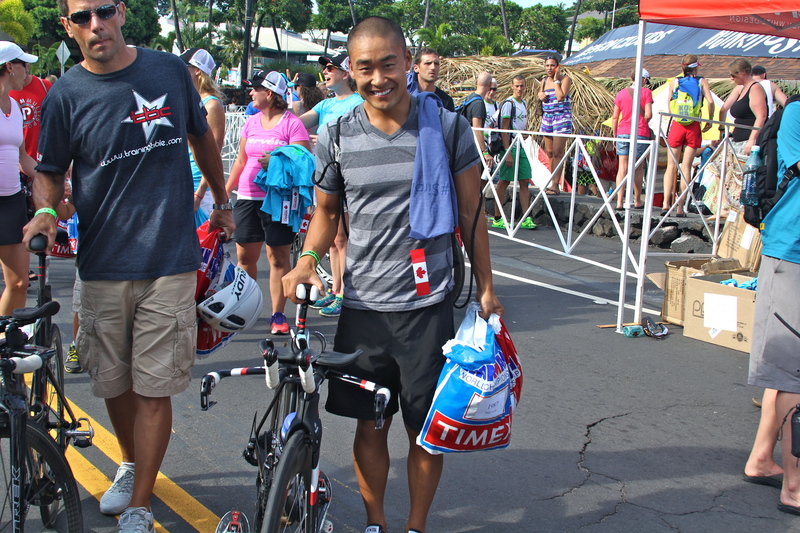 I felt like a celebrity walking by the Kona gear counters. A Cervelo rep handed me a shirt as he admired HAWK. I got caught up in all the pre-race festivities. 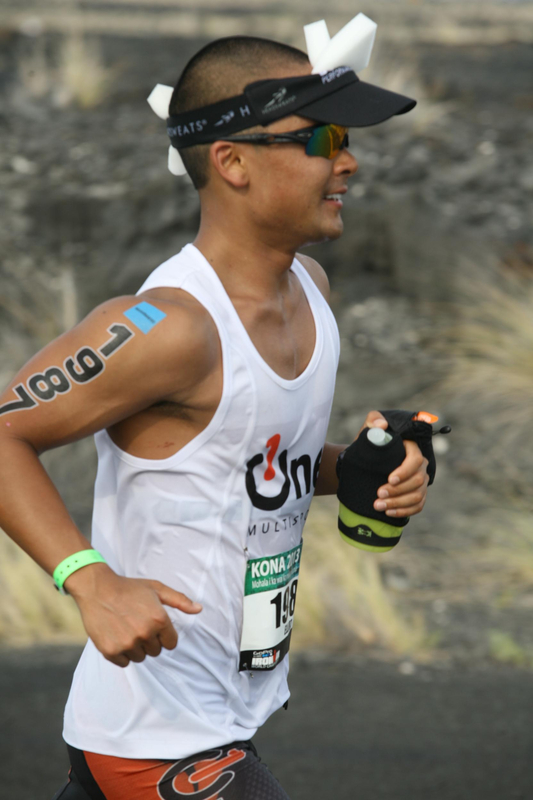 I did the underwear run, spent hours at the expo, attended sponsor parties, went to the Slowtwitch gathering, got amped up at the Coffee’s of Hawaii Espresso boat, and walked up and down Ali’i. Best part of it all? I had tons of family and friends in attendance to cheer me on. I was having the time of my life. 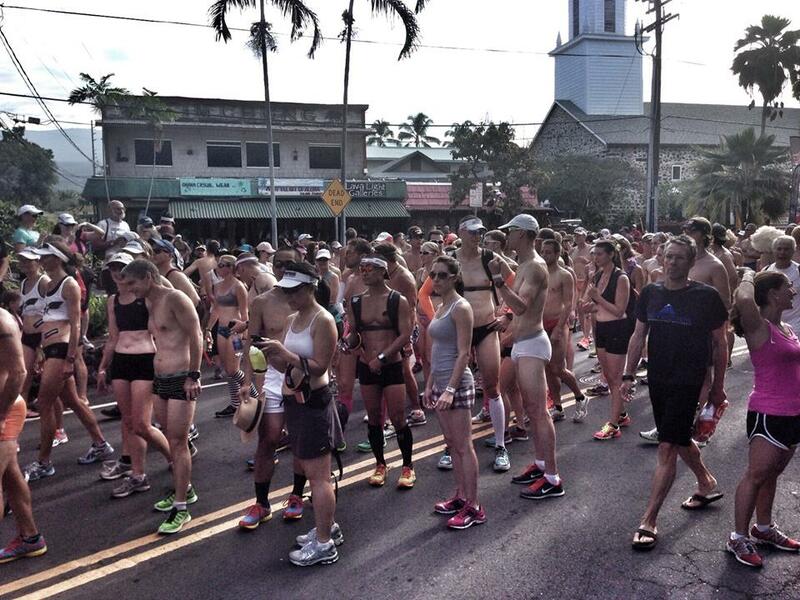 The infamous Kona underwear run… my mom even joined! My coach and I talked very little about race goals. 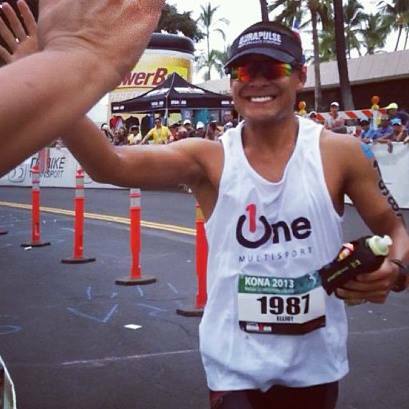 For me, I was honored just to toe the line at my first Ironman World Championship. Other than having fun, I set few expectations for myself and didn’t stress too much about time objectives. 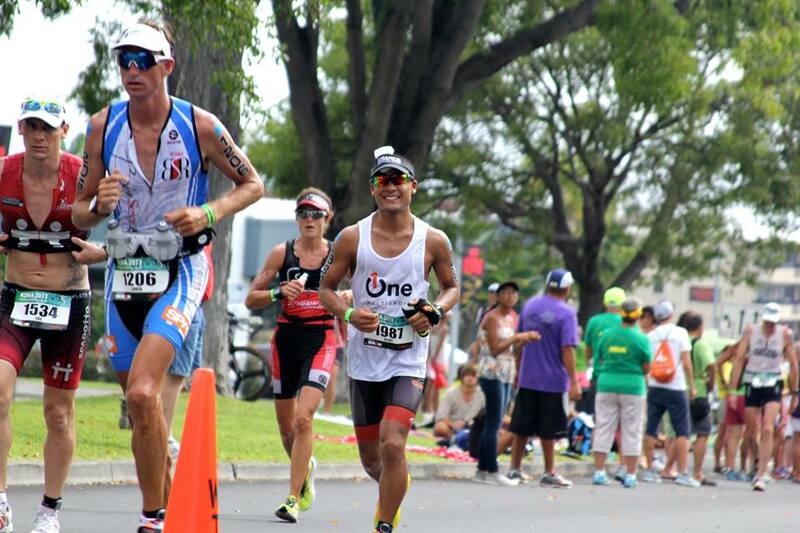 As a Kona rookie, I had no clue what to expect. I respected this course, the distance, and knew the island played no favorites. I was still going to race hard. Though, I knew I could flip the switch from going ‘beast mode’ in Canada to have a little more fun in Hawaii. I stayed at a condo a mile away from town along Ali’i. Race morning, I woke up at 3:45 a.m. to eat my typical breakfast: oatmeal, blueberries, strawberries, and honey. Colin picked me up at 4:30 a.m. to head to the race. I stood in line to get my race number tattoo, weighed in, prepped my bike, double-checked my gear bags, then chilled on the beach in front of the King Kamehameha hotel. 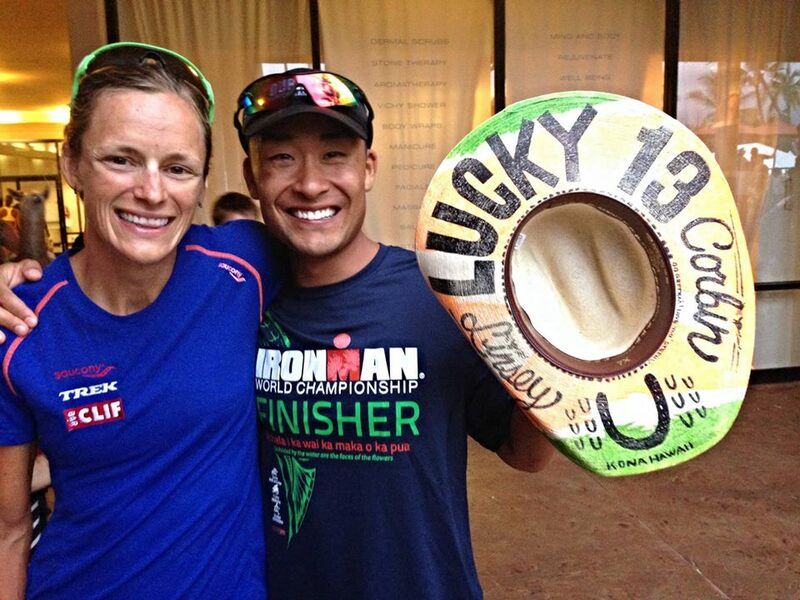 I got a tap on the shoulder… it was Linsey Corbin wishing me a great race! Just moments before entering the water, I saw a chick dressed in a Hawaiian pink dress, boots, a crown, and a magic wand in front of the King K hotel. 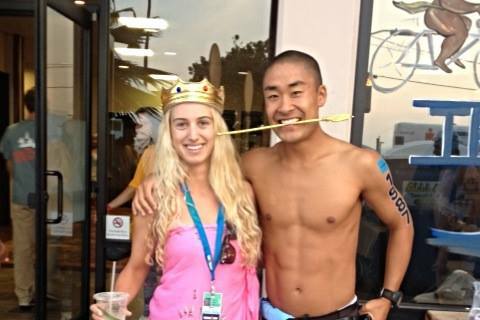 It was “Queen K” Jenna! Most of my family stayed in Waikoloa. 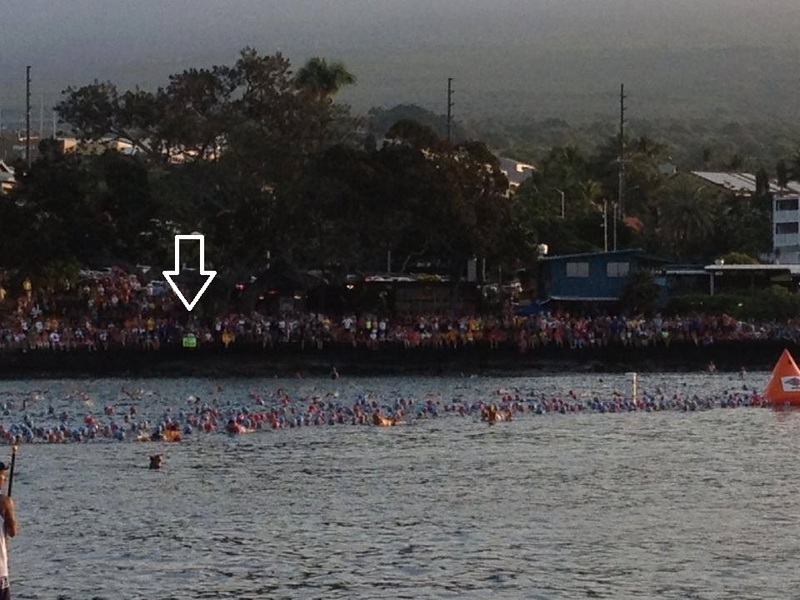 They got up really early to get a front row seat for the swim start. Hopefully my green Seahawks sign made it on TV. As I stood in line to cross the timing mat into the water I looked around. The nerves finally hit me. 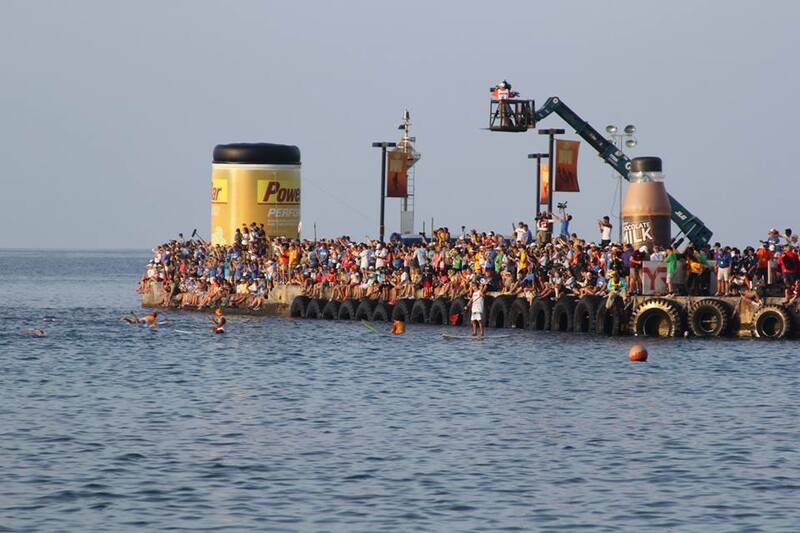 There were so many spectators… more than any other triathlon race I’ve ever done. I got goosebumps. Media helicopters flew overhead. I remember the sound of Hawaiian drums playing as I stood in line. I stood on the beach with Colin for several minutes. 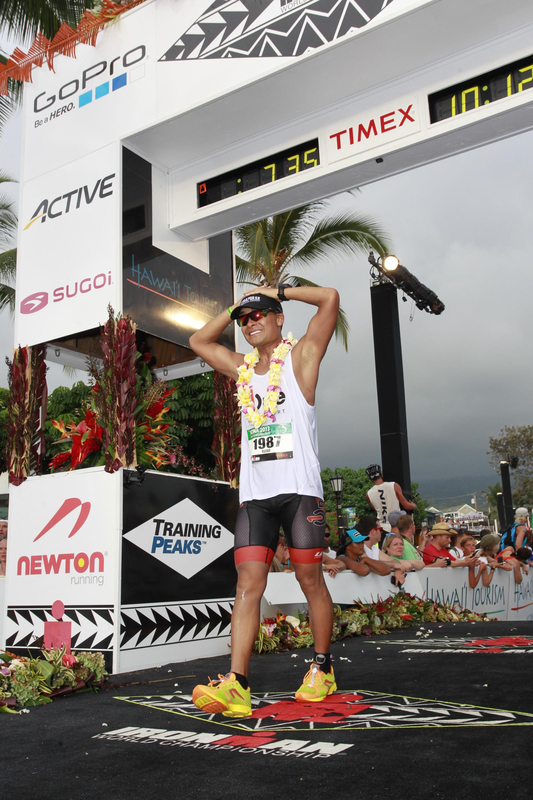 I’ll never be able to get rid of the pre-race nerves before an Ironman. 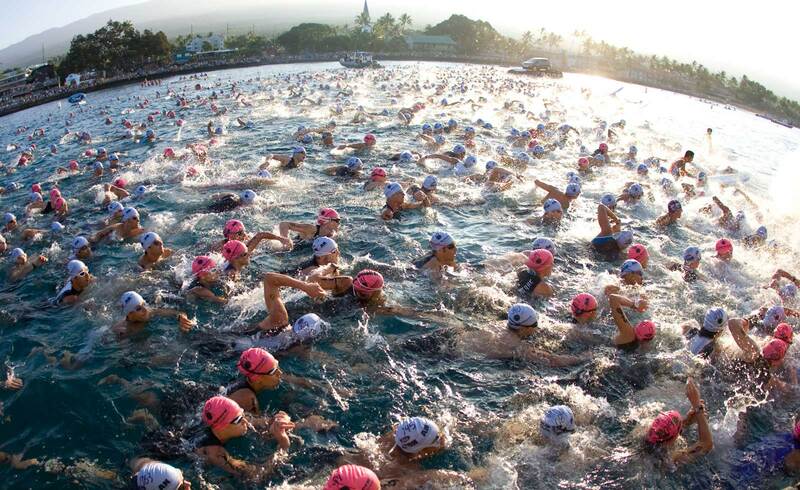 Though, I got especially apprehensive for this mass swim start. At 6:50 a.m., Colin and I made our way to the start. We lined up about 10 feet from the front, towards the left. I hung onto a canoe to save energy from treading water. Then, the gun sounded. I got punched. Kicked. Jabbed. Grabbed. My goggles were immediately ripped off. The water looked beautiful during my practice swims. 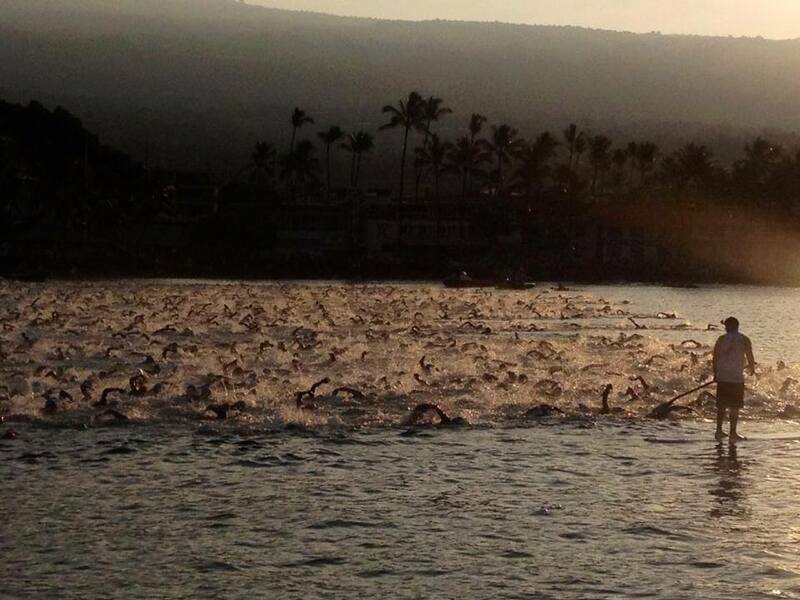 The NBC broadcasts show the amazing sea life throughout the swim. As a participant, it was a washing machine full of white water and chaos. There was no time to enjoy any ocean scenery. I was more focused on getting a clean breath of air… and avoid getting kicked in the face. The worst thing I could do was panic. I kept telling myself to relax. Unlike my other Ironman races, the packs never seemed to break up. Once I felt like I was getting into a rhythm… WHAM!!!! Another body shot and another gulp of salt water. I tried my best to maintain my turnover and keep moving forward. I looked for pink swim caps, hoping the girls would be less aggressive. Nope… the girls were meaner. 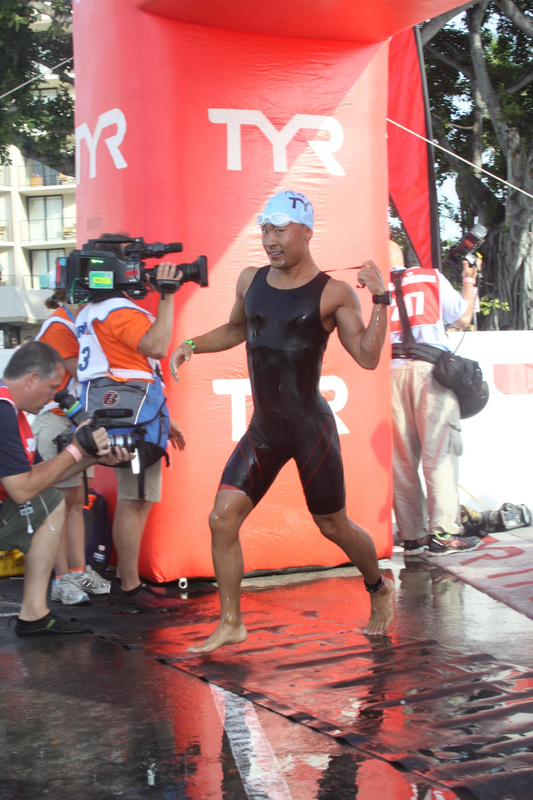 I came out of the water two minutes slower than my time in Ironman Canada. I was just thankful it was over. I swam until I touched sand, ran up the stairs, and posed for the cameras. I quickly hosed myself off, grabbed my bike bag, and made my way to the change tent. It was packed. I slowly worked my way through the crowd as I slipped on my bike jersey. My shoes and helmet were already on my bike. Starting the ride, I felt great. The crowds in town were amazing and I fed off their energy. Colin and I had nearly identical swim splits. We started the bike together and shared a few laughs when he realized he forgot to take his swim skin off! Once I crested Palani, it was time to make friends with the lava fields. At this point of the race I focused on getting into a groove, settle into my power numbers, and stay cool. There was a tailwind most of the ride heading to Hawi. While it made my average pace look great, I started to get really hot. I sprayed myself down with a cold bottle of water at every aid station, approximately every seven miles. I also grabbed a new bottle of water and Perform at each station. Wearing a black aero helmet with minimal ventilation was a mistake. I was bakin’ like a toasted cheese-it. No matter what I did, I felt increasingly overheated as my ride progressed. As I approached the turnaround at Hawi, the winds were still relatively calm. Where are the crazy winds everyone talks about? I thanked the island Gods for going easy on me. Descending Hawi, I still felt okay. I felt like I was being conservative with my power, as my average was much lower than Canada. My heart rate average was abnormally low. As I approached the Queen K to head back into town I started feeling really sluggish. I tried pushing but my legs felt dead. Tons of people started passing me. I knew I was fighting a headwind, but I hadn’t felt like this tired on the bike in a long time. 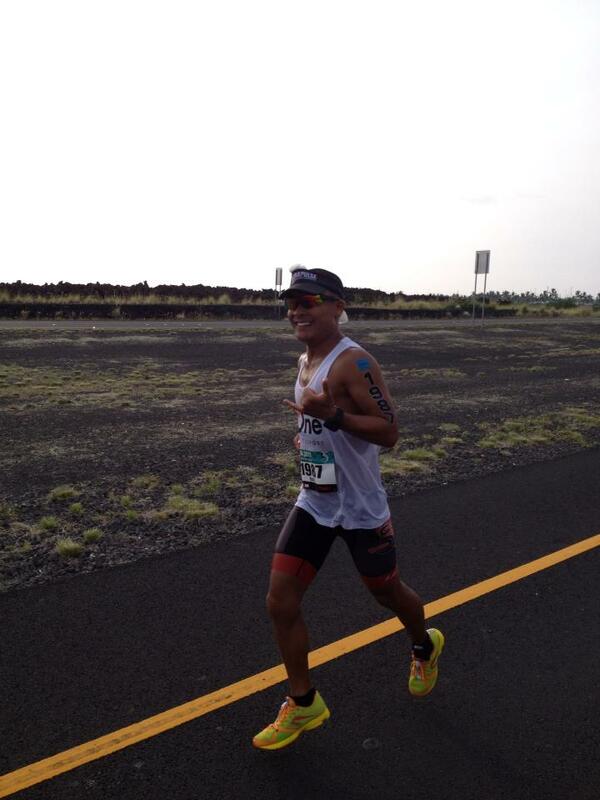 The humid, Kona heat was getting to me. I turned into a straggler the final 30 miles of the bike ride. I tried my best not to completely bury myself as I knew I still had a marathon to run. I had to finish this race. Oddly, I started enjoying myself even more. I got the chance to look around. I saw the ocean in the distance. I studied the white coral on the lava rocks. I was incredibly appreciative that I was one of the gifted athletes to qualify at this event. Having several of my closest family members and friends cheering for me made me even more happy. 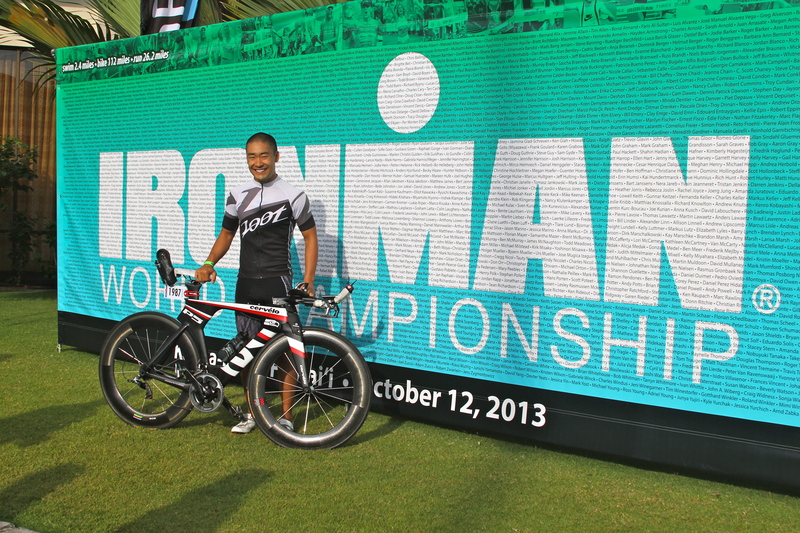 I kept reminding myself: I am racing in the IRONMAN WORLD CHAMPIONSHIP. This was no time to mope. The final miles on the Queen K seemed to take an eternity, but I finally got back to town. I was pooped. I dismounted from my bike and my legs felt like lead. I sat on a chair in the change tent to collect my thoughts and cool off. 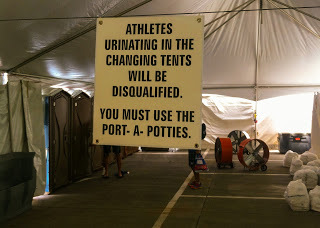 No peeing in pants allowed. My game plan from here on out: smile, thank volunteers, give high-fives, and most importantly… enjoy myself. I knew if I could maintain a jogging pace and limit the amount of walking, I could still salvage a respectable time. I got a sudden resurgence of energy as I headed out on Ali’i and saw family and friends. My grimace turned into a smile. 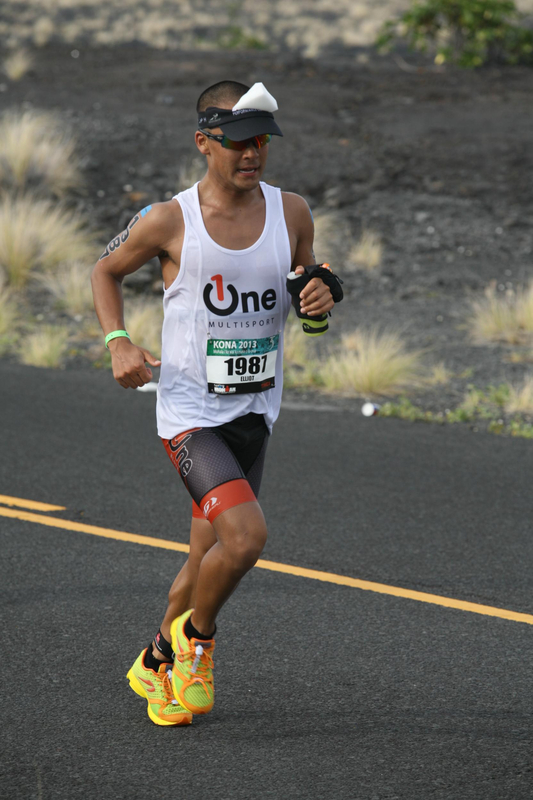 The first 10 miles of the run course (five miles out-and-back on Ali’i) was one of the highlights of my race. There were tons of spectators and the ocean views were incredible. It brought me back to life. I was having fun. I settled into a good rhythm and was enjoying myself. 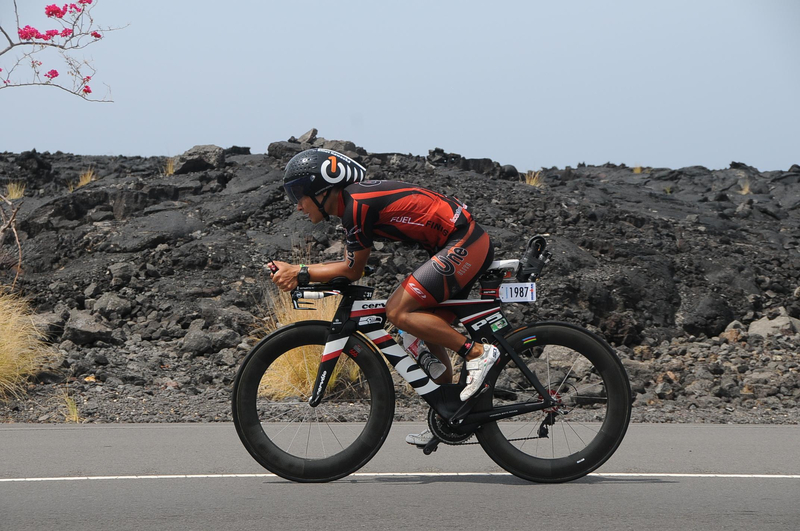 Then… there was the several miles of loneliness on the Queen K and Energy Lab. Other than aid stations, there wasn’t much support or cheering. It was just me and the desolate lava fields. I put sponges in my visor, poured ice down my pants, held on to ice cubes, and sucked on ice to try to keep cool. I drenched myself with water at every station. I maintained my Ironman shuffle and only walked aid stations. 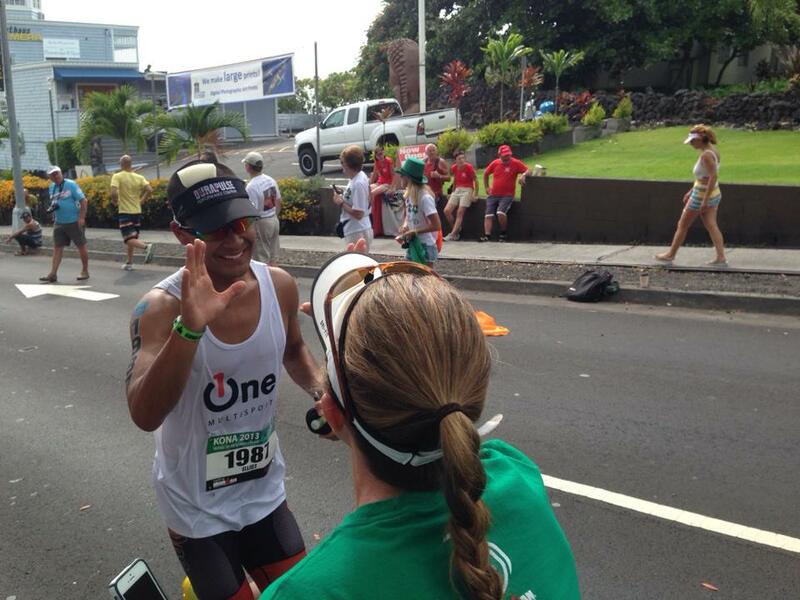 I saw my friend, Stephen, and gave him the shaka on the Queen K. Only a couple miles to go! When I got closer to town, it was a huge relief to hear clapping and cheering from spectators. 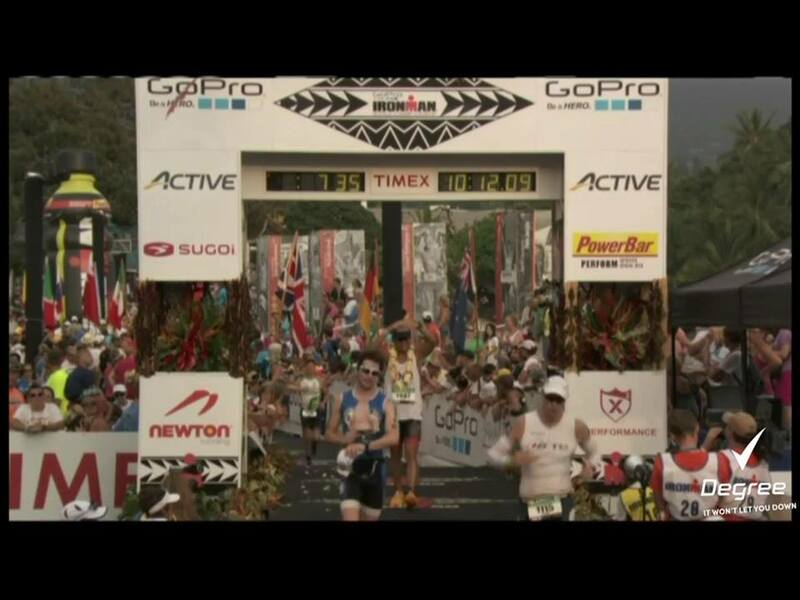 The crowd, music, and Mike Reilly’s voice got louder and louder as I approached the finish on Ali’i. 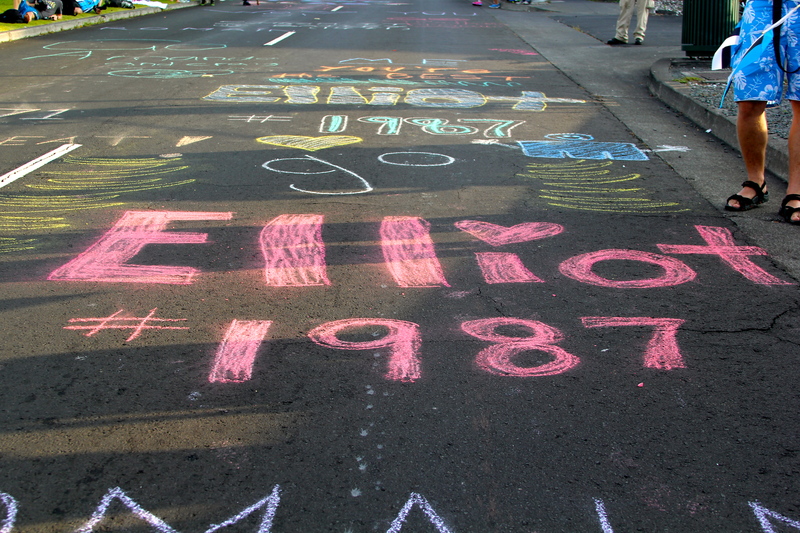 The final right-hand turn on Ali’i was magical. The streets were lined with people cheering. I ran under the Banyon trees as I had a huge smile on my face. I started to tear up. This was it. This is what I worked so hard for. All those early morning training wake-ups calls, long training weeks, pain, sweat, and suffering… all for this one moment. I wouldn’t trade it for anything in the world. You get that feeling that all the energy and cheers are focused on you. I took my time as I gave out more high-fives. 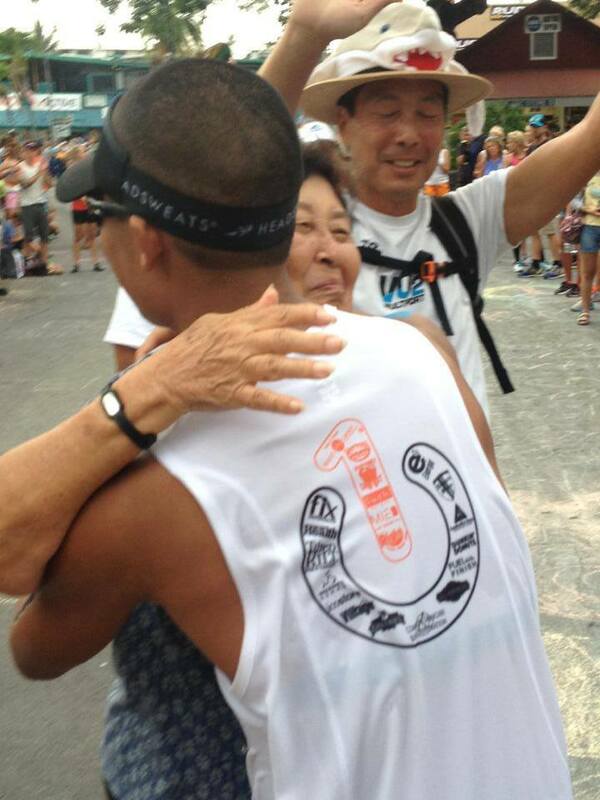 A few hundred yards from the finish I stopped to hug my Grandma Rae. She was so proud of me. Another relative put a lei around my neck. 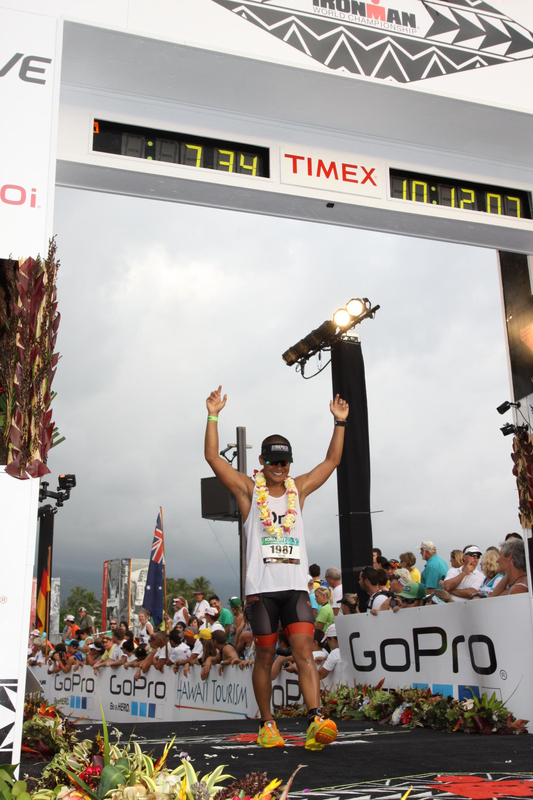 Crossing the finish line was different than any of my other races. In Canada, it was all about getting to Hawaii. I finished Ironman Canada on my knees, giving it everything I possibly had to earn a qualifying slot. 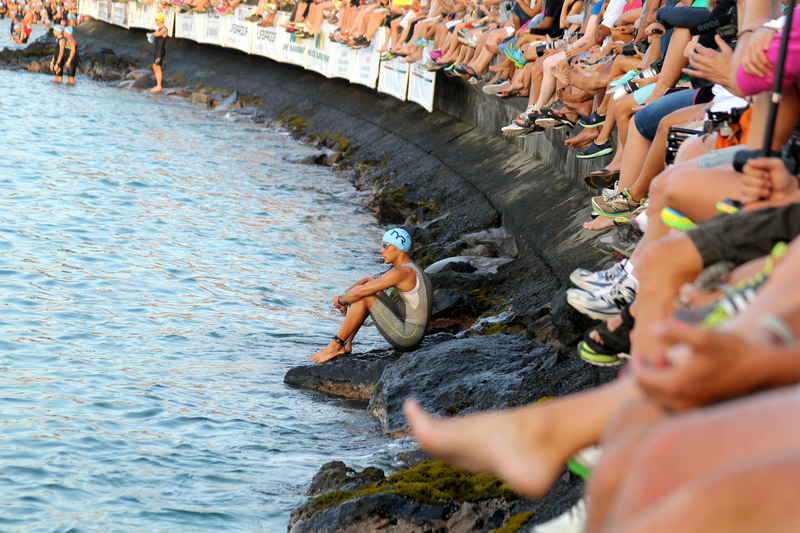 Finishing Kona, I felt calm and at peace that this journey was over. 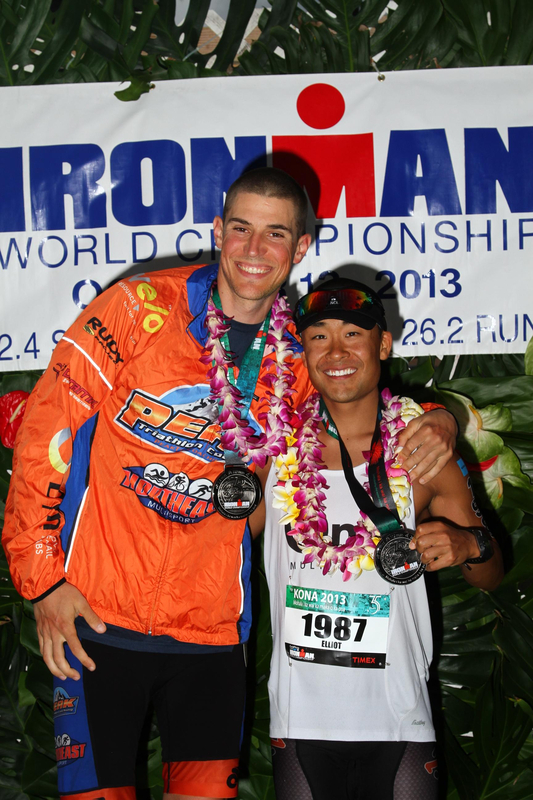 Finishing the Ironman World Championship was icing on the cake to end a memorable year of racing. I met Colin at the finisher area. He had a phenomenal race. To cap off an amazing day, I got a picture with the fastest cowgirl in the world. 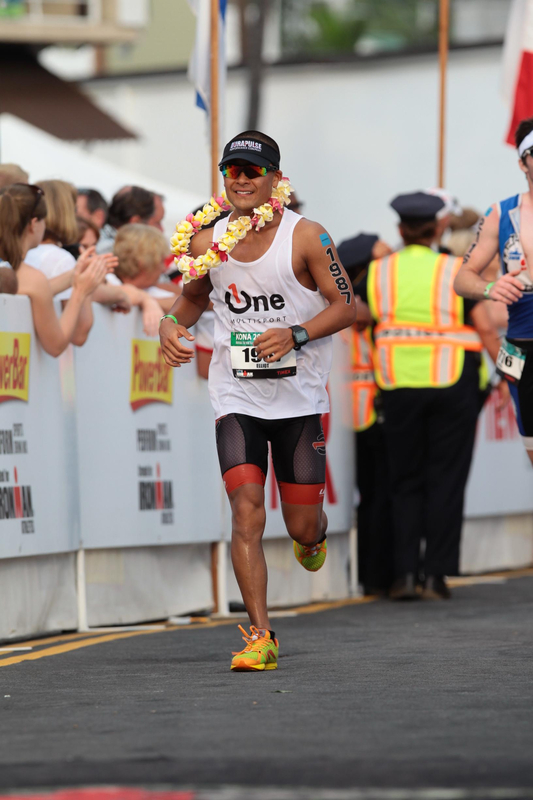 I’ve competed at other qualifying races, including the Boston Marathon and 70.3 Ironman World Championship. 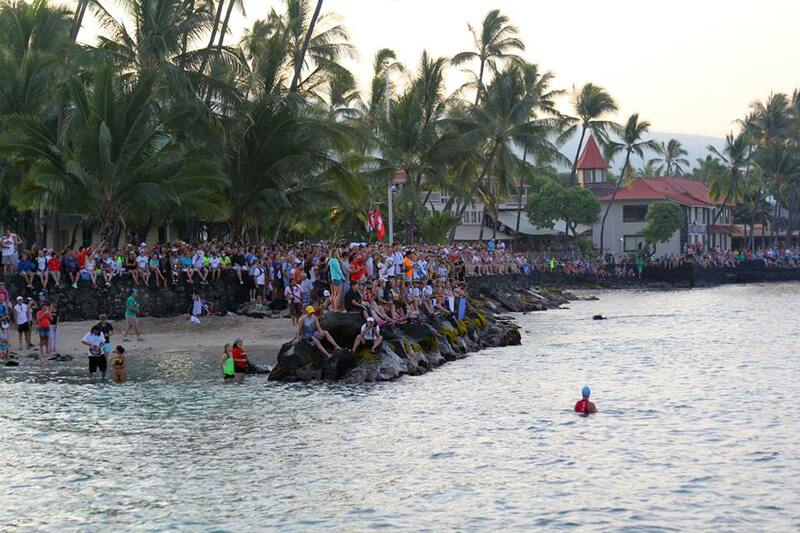 While these were incredible events, nothing topped racing in Kona. 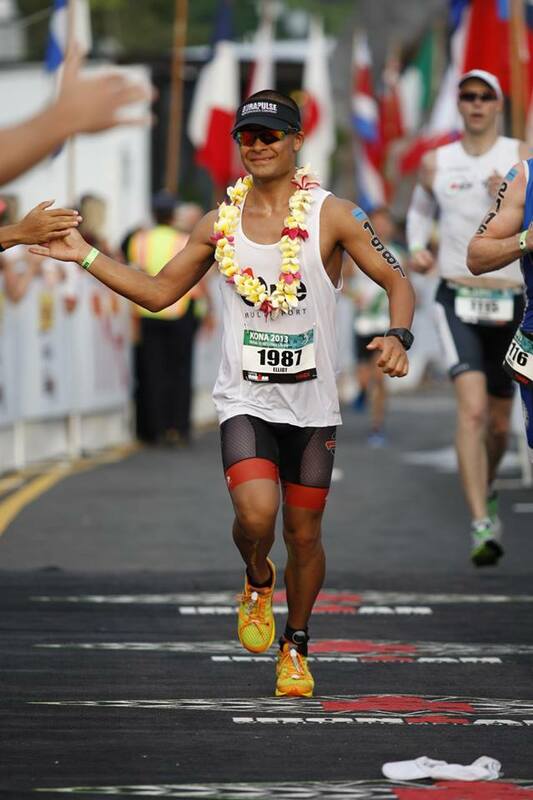 I soaked in every single moment of my first Ironman World Championship experience and truly lived out my dream. At the end of the day I am proud to say I finished one of the most prestigious endurance races on the planet… and had a blast doing it. It’s the single greatest accomplishment of my athletic life and I will cherish it close to my heart forever. GREAT Report man, the picture of Leah is the best of all the pictures. you forgot to mention all the free stuff! 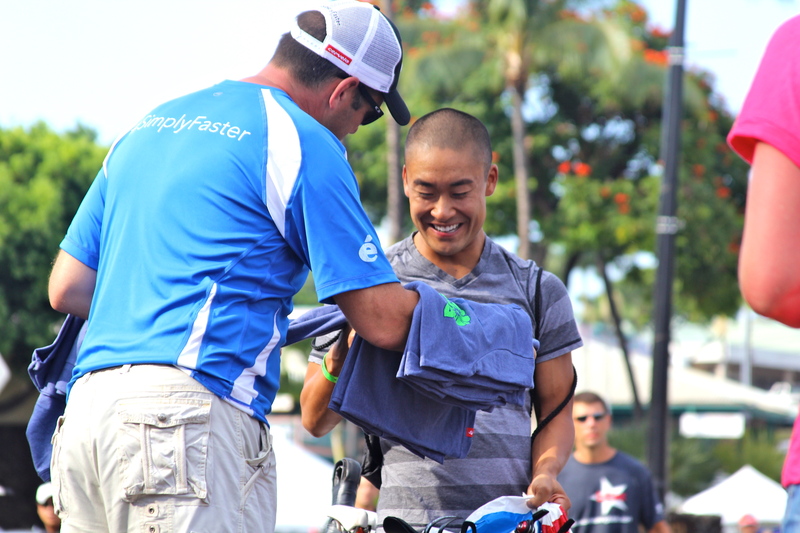 One of the best parts of racing Kona – that might be a bit of an exaggeration – but all the free stuff from vendors, sponsors, etc!